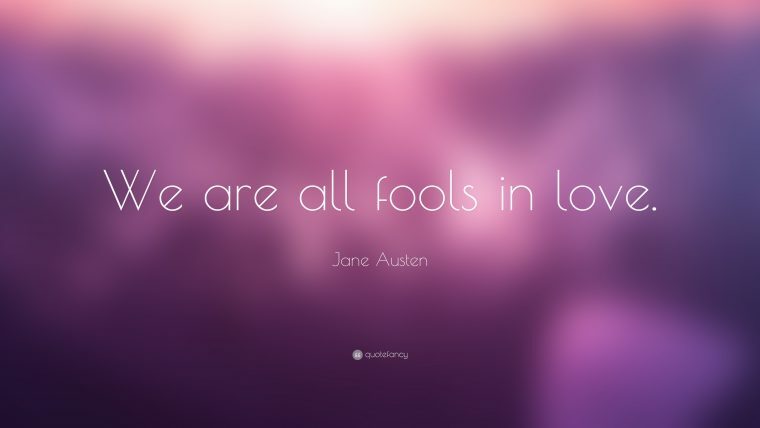 Many readers have been bewitched by the eloquent words, headstrong ladies, romantic gentlemen, and complicated relationships that make up the six novels of Jane Austen. 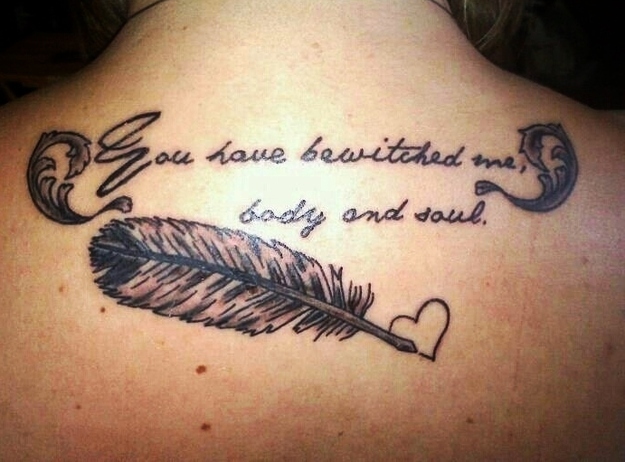 It is no wonder that the words and characters that capture our hearts would find their place permanently inked upon our skin. 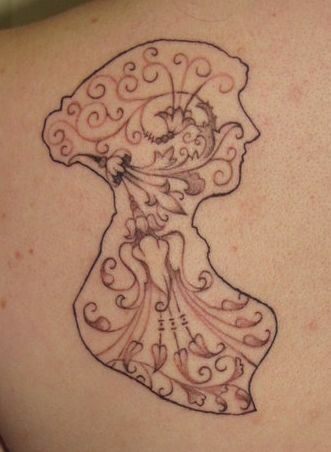 These beautifully illustrated tattoos show just how deep the impact of Jane Austen’s poetically classic works has affected our world. 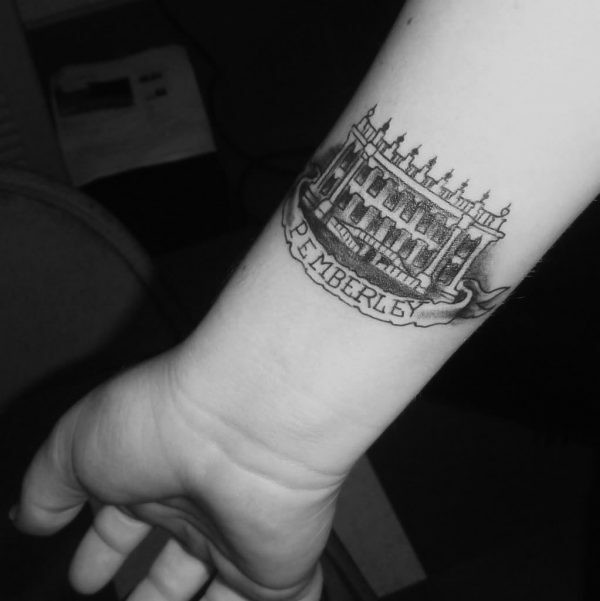 From Austen’s Pride and Prejudice, Mr. Darcy’s home is brought to life in this spectacular tattoo. 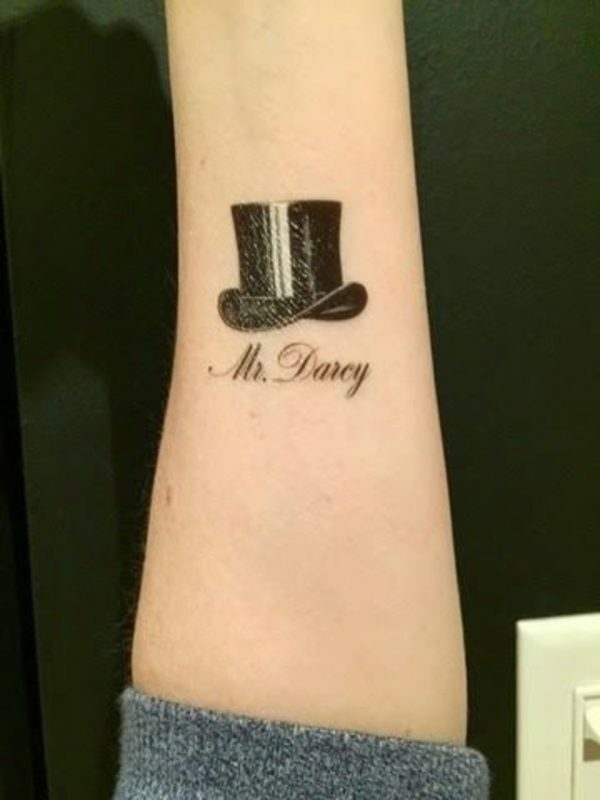 A simple symbol of the iconic love interest, Mr. Darcy. The famous silhouette of the author herself. 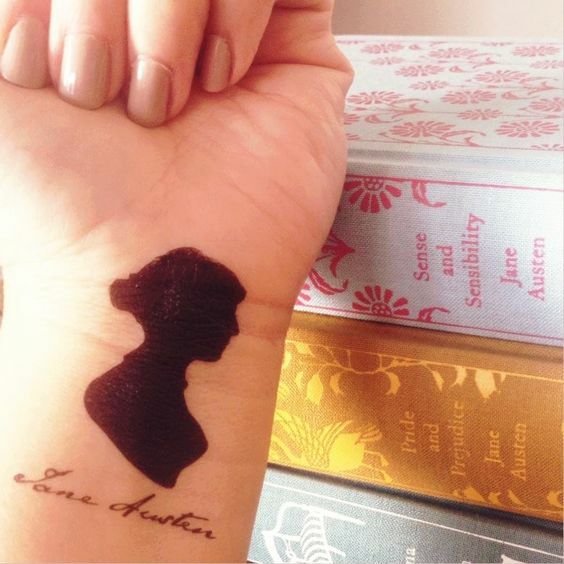 A beautiful illustration once again incorporating Austen’s famed silhouette. A colorful depiction of Jane Austen. Two words that express Mr. Darcy’s love for Elizabeth. Mr. Darcy’s famous declaration of love for Elizabeth. 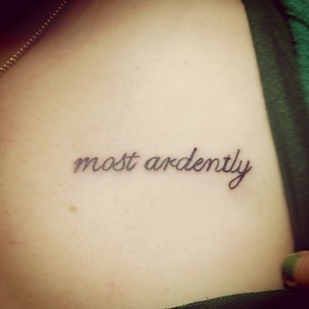 Which literary tattoo would you be brave enough to ink?